The novel “Golden Slumber” by Isaka Kotaro, follows a man caught up in a politics-based conspiracy, fighting for his life. While this may sound Jason Bournesque, Primal Rage it is really a tale about humanity. Noh Dong-seok, director of the Korean movie adaptation of the “Golden Slumber,” Private Life said that his movie’s focal point is that the hero — framed as a terrorist — is an everyman. “The person embroiled in such a massive incident is not an action hero, but just an ordinary guy. 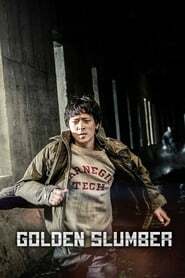 The point of my directing was to let the audience feel that any of them Con Man could be in (protagonist Kim Gun-woo’s) shoes,” Noh said in a press conference for the movie held Wednesday in Seoul. The human centipede genius Tom Six has a new movie in the starting blocks and wants to continue where he left off. The title of the production is simply inhuman….